The Delano 102.5" Extension Dining Table from Eurostyle brings a touch of glamour to a dining room's décor instantly. 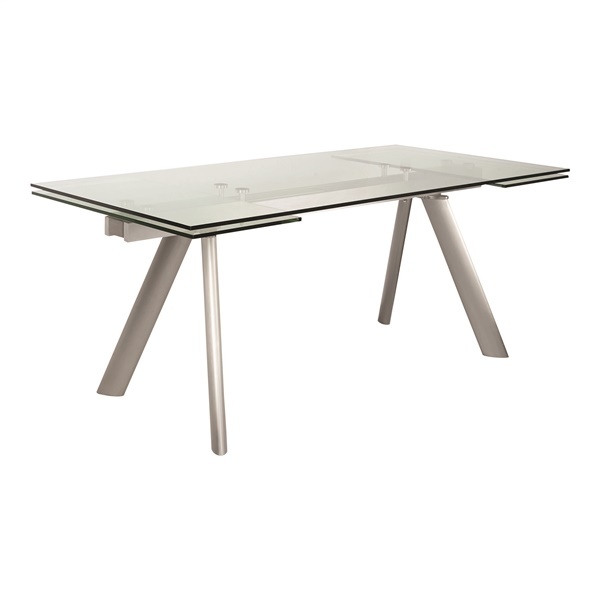 It features a sparkling 12mm thick clear tempered glass top, along with superb brushed stainless steel legs that deliver exceptional stability. In addition, the dining table boasts two extension leaves, making it a great choice for casual meals and large dinner parties alike. Select a top-notch dining table that blends style and function beautifully with the Delano 102.5" Extension Dining Table.